These are my top 10 most anticipated new manga releasing in Winter 2017/2018 (or from December 2017 to March 2018). At this point, I don’t know how many of these I will be able to collect, but these are certainly the ones I am most eager to pick up! Takane & Hana by Yuki Shiwasu. I’ve already got this title pre-ordered. I don’t know much about it, except that a few people I follow on twitter were excited about the release announcement. I don’t actually want to know what this is about before I read it. But, I’ll let you know what I think, when I get to it. Hello kiddos! 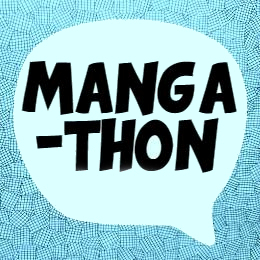 I’m hosting a manga giveaway (until February 18 12:59PM MST) where you can guess which manga I’m giving away. If you guess correctly, you could win up to 10 volumes of the manga you guessed! It’s a bit of a complicated giveaway, but I thought it would be a fun way to distribute my doubles and also ensure that they went to people who actually wanted them! Follow the link to find out how to enter! There are so many unread titles in my collection (mostly owned by my sister) that I haven’t read yet. Every year I like to give myself a list of titles to read to make a tiny dent into that massive, and overwhelming TBR. The following are the titles I hope to prioritize reading in 2018. I’ve given myself 12 titles to choose from. Ideally, I want to read one per month… but knowing me… I’ll be happy if I read more than 50%. I’ve given myself a secondary challenge as well, in addition to reading them, I also want to review them all! This is a much bigger challenge, but I hope I’m up to the task. I’ve been putting these titles off long enough — 2018 is the year! I’ve already talked a little bit about my plans for this blog, but I also wanted to talk a little about my other goals (mostly reading) for 2018. ONE. Read Less (and not worry about it). In the past I’d average about 1000+ manga read in a year. But, my reading has changed, and I don’t have the time or the inclination to read that much anymore. It was fun to go for a number goal, but this no longer important. Instead, I’m interested in reading broadly, and picking up titles I just want to read. I’ve set my GoodReads goal at 100 books, which will let me track what I’m reading throughout the year, but take away the stress of having to reach a certain number. TWO. Get back to the shelf challenge. And So It Begins… Again. 2017 was a terrible blogging year for me. So in around October and November when I had begun to think about what I wanted to do in 2018 I realized that I either needed to start over with this blog, or abandon it completely. I’ve basically had a blog since about 1997. And back then, before YouTube was a thing, I was happy to devote my creative energies to it. After blogging for nearly 20 years, I wanted a chance to try something new, and discovered making YouTube videos. I have been doing that now for 2 years — and even though it hasn’t always been easy, I’m enjoying it more and more.